Paramount Pictures has shifted its schedule and, as a result, has had Star Trek Beyond delayed by two weeks. It will now hit the big screen July 22, 2016 instead of the originally-planned release date of July 8, 2016. Star Trek Beyond is set to feature the return of Chris Pine, Zachary Quinto, Zoe Saldana, Karl Urban, Simon Pegg, Anton Yelchin and John Cho along with new roles for Idris Elba, Sofia Boutella and Joe Taslim. Abrams, who directed the last two films, is producing the third film in the rebooted franchise with four time Fast and Furious franchise helmer Justin Lin directing from a script by Simon Pegg and Doug Jung. Having Star Trek Beyond delayed puts the 50th anniversary feature entry in the path of both Guy Ritchie’s Knights of the Roundtable (a potential franchise launcher set to star Djimon Hounsou, Eric Bana, Charlie Hunnam, Mikael Persbrandt, Astrid Berges-Frisbey and Elizabeth Olsen) and the animated franchise sequel Ice Age: Collision Course (featuring the returning voice talents of Ray Romano, Denis Leary, John Leguizamo and Queen Latifah). 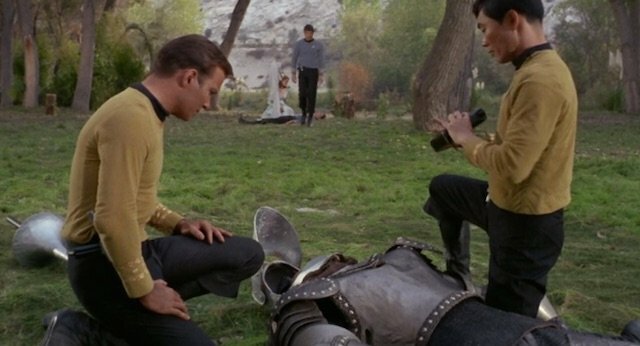 As you can see from the episode images above (“Shore Leave”) and below (“All Our Yesterdays”), however, the Enterprise crew has had no problem dealing with either knights or ice ages in the past. The July 22 release put Star Trek Beyond on track to arrive in theaters about a month and a half prior to the Star Trek franchise’s 50th Anniversary. 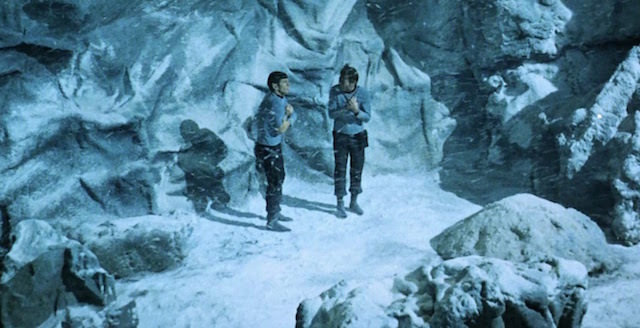 Although it wasn’t the first episode produced, “The Man Trap,” in which the crew of the Enterprise encounters a deadly shapeshifting salt vampire, introduced the world to “Star Trek” on September 8, 1966. Do you think having Star Trek Beyond delayed two weeks will affect the box office? Does it change your viewing plans at all? Let us know in the comments below!